Leaving the office I was treated to one last look at our ice-coated world. 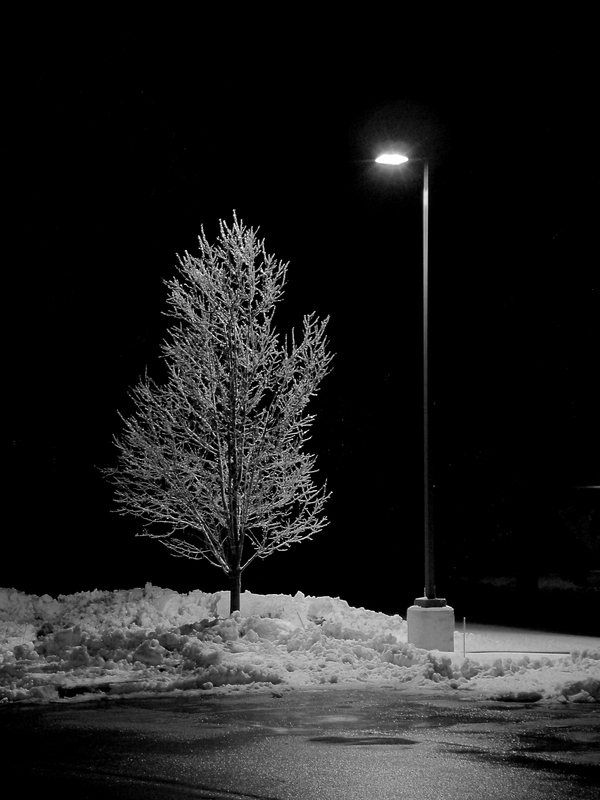 A lonely tree in the parking lot was all decked out in diamonds under a nearby overhead light. The color in the photo couldn't be corrected to my satisfaction so I removed it entirely and just as well! I like the resulting photo much better than any color rendition — and it matches my memory of the scene. It reminds me of my "good old days" of black & white film photography. Wow! The photos from your last 2 posts are brilliant! Wow, I say! This is really gorgeous! Almost makes me nostalgic for American winter!